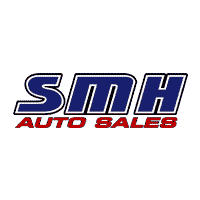 At SMH Auto Sales we are offering 100 percent transparent On The Road Pricing for every Maryland customer! We believe that honesty and excellent customer service are what drives success in any retail market. Are you tired of paying hidden fees? Are you sick of having to provide all of your contact information just to find out what the total cost of your next vehicle will be? Well at SMH Auto Sales in Frederick Maryland you will have all the information you need from the comfort of your home or office! Our website lists an On The Road Price for every vehicle on our lot. With up front honest pricing, excellent customer service, and an extremely wide range of cars, trucks, and SUV’s, we believe we have the recipe to make every customer happy with their next purchase!! Please give us a call or just stop by if you have any questions about any of our products or services! !